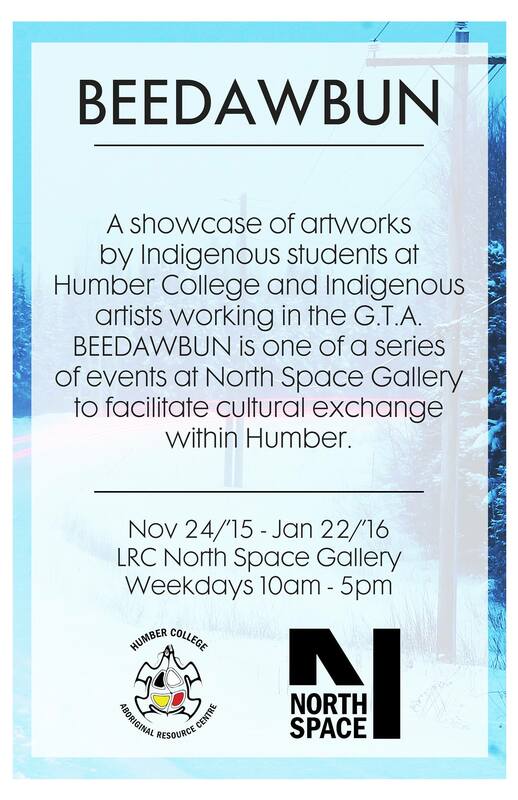 Organized by the Humber College Aboriginal Resource Centre, Beedawbun showcases works by both indigenous students at Humber College and indigenous artists working in the Greater Toronto Area. The exhibit will cover a range of media and forms of expression with the goal of tying together indigenous traditions with our place in modern society. In the Anishinaabeg language, Beedawbun means "A New Dawn." Beedawbun comes at an important time for indigenous people in the Canadian context and reflects the hope that this is a new era in their relationship with broader Canadian society. 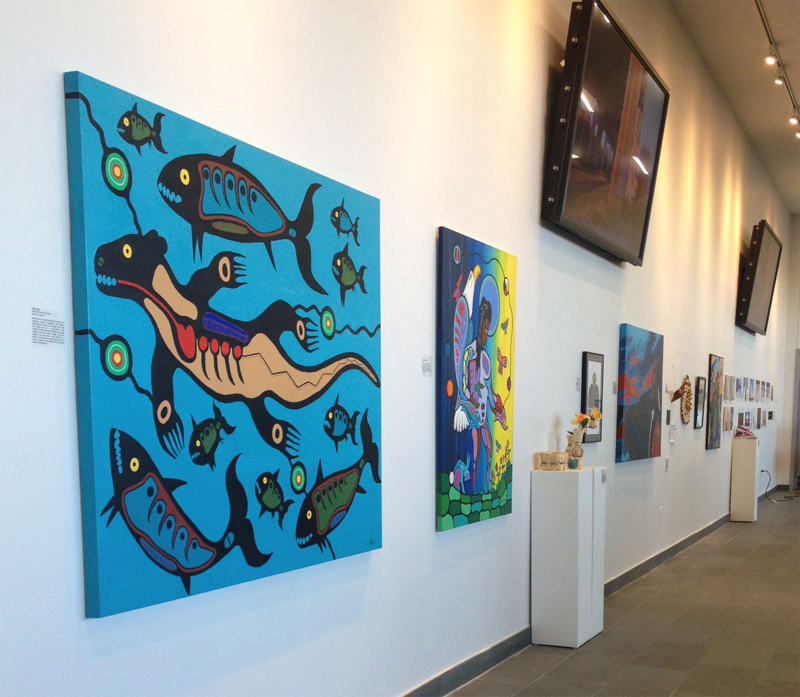 This exhibit aims to create a space to explore what it means to be indigenous today and share that with the broader community so that people come away with a better understanding of the local indigenous culture.